A friend told me she woke up today with the desire to throw plates. And no she’s not Greek and this is not for a celebration. When was the last time you put YOU first or even on the list for that matter? We are always caring for our kids and family needs that we don’t take enough time to step back, take a deep breath and take care of ourselves. My 10-year-old son recently had to point out that I needed an upper lip wax, which is unacceptable on so many levels. With Mother’s Day coming up, I’m making a vow to myself to give me some more TLC beyond the one day a year where mothers around the world are showered with love, appreciation, and gifts. 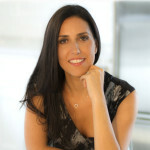 A lot of moms feel guilty taking too much time for themselves, especially with so much to do and so little time to do it. But we need to change our mindset. The perfect analogy is when you are listening to the safety video on an airplane before taking off and they instruct caregivers to put the oxygen mask on themselves first and then put it on their kids. At first, this sounded so counterintuitive, but I’ve come to realize that unless we are healthy and happy, we most likely won’t have the capacity to give our kids the tools to be healthy and happy themselves. Here are 10 ways busy moms can get that much-needed break. You’d be surprised that even an hour of self-love can recharge you so that you can keep giving unconditionally to your kids without feeling the need to throw plates! Massage / Spa treatment alone or with a girlfriend. Night out with the hubby. Lunch break or happy hour with friends. Grab a book and spend a couple hours at a coffee shop sipping something warm and maybe eating something sweet. Go for a hike. Being in nature has a way of putting you in a great mood and the vitamin D from the sun is a great perk too! Blast some music, shut your bedroom door and dance. Getting your blood flowing while hearing your favorite tunes can be the perfect solution to releasing pent-up energy. Go splurge on your favorite workout. Take a weekend away. If you can swing a weekend away, you won’t regret it! Last year, I spent the night in NYC with a few girlfriends. Having time to have fun, relax, eat, drink and vent with your favorite girls can keep you going and smiling for months afterward. 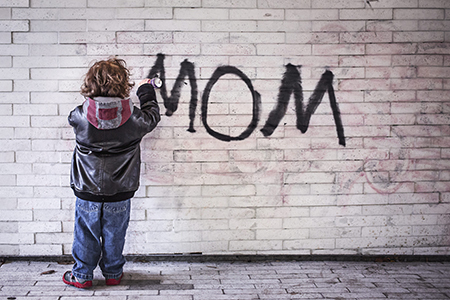 Wishing you all a Happy Mother’s Day(s)! P.S. 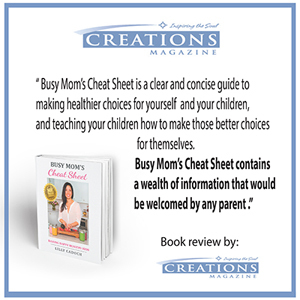 Give yourself the gift of “Busy Mom’s Cheat Sheet: Raising Happy Healthy Kids”. Learn the tools to lead and teach your kids to have a healthy happy life, including 45 easy, quick, healthy delicious recipes even the pickiest bellies at home will love! Read the reviews and more on Amazon.